It’s always a challenge to find the best centre for IVF treatments. Many couples go through the trial and error process of visiting various doctors and clinics before finalizing one. But why is it so hard to find the right clinic? Every individual has certain requirements for treatments. But apart from that, they also look for a pleasant and patient doctor who is attentive towards them, and a friendly staff. To help you perform an initial screening, our team spoke with a lot of clinics to understand the way they work, the facilities available, the friendliness of the staff, the success rate and the cost of the treatment to shortlist the top 15 IVF clinics and doctors in Delhi. Dr. Kaberi Banerjee is the Medical Director of Advanced Fertility & Gynecology Centre. She is an infertility and IVF Specialist with MD in Obstetrics & Gynecology. She is one of the most popular IVF specialists in Delhi with 20 years of experience. The staff at the Advanced Fertility Centre was professional and gave straight answers to my questions. Their success rate is around 60 to 70% and has all the latest equipment for IVI, ICSI, IUI, Embryo Freezing, Blastocyst, PGD/PGS Screening, etc. Overall, the experience was informative. The staff at Baby Joy IVF Centre was very courteous and she responded well to all my questions. The very first consultation fee is free and one can directly meet Dr. Neha who is an IVF specialist and infertility doctor with over 7 years of experience in this field. The staff said that the success rate with Dr. Neha is around 75%. They have all the facilities needed for embryo freezing and blastocyst transfer and egg donation facilities. They also have surrogacy options for couples who didn’t get success from the initial treatments. Overall, it was a pleasant experience with the Baby Joy IVF centre. With extensive treatment options for IVF including Cryopreservation, donor programmes and genetic screening, Life Care IVF Centre has some experienced doctors with a good success rate of around 70%. When contacted, the staff wasn’t ready to mention the cost of IVF and repeatedly asked to come and visit to get any more information. The experience wasn’t quite convincing. Dr. Nisha Bhatnagar is the main doctor at Aveya Fertility Clinic who has an experience of over 20 years as an Obstetrician & Gynecologist. The staff was polite to speak with and said that the doctor will be available for most part of the day. They have egg donation, egg freezing and surrogacy options and are said to provide affordable IVF treatments. Dr. Rita Bakshi is the founder of International Fertility Centre which is one of the oldest fertility clinics in Delhi. She has over 25 years of experience as an Obstetrician and Gynaecologist with specialties in IVF, IUI, ICSI, surrogacy, recurrent miscarriage, endometriosis and ovulatory disorders and their treatments. The staff I spoke to said that the cost of IVF treatments in their fertility centre is around Rs. 1,50,000 and donor IVF would costs around Rs. 2,50,000. They have all the necessary facilities needed for IVF treatments including in-patient facility and it was a neutral experience. Sarvodaya fertility centre has in-patient facilities for IVF and IUI treatments. The staff I spoke to said that their success rate is around 60 to 70%. Dr. Parul Prakash Garg with MBBS, MD in Obstetrics and Gynaecology and FNB in Reproductive Medicine has 14 years experience as an Infertility Specialist , Gynecologist , Obstetrician and one can get an appointment and get a consultation with her directly. They also have an in-house Embryologist and Andrologist with the clinic. Shantah Fertility Centre was started under the leadership of Dr. Anubha Singh which is the first venture of Shantah Healthcare LLP. The staff I spoke too did not divulge the success rate of either the doctor or the fertility centre. One has to make an appointment at least a day earlier to meet her. The fertility clinic has all the facilities for IUI, IVF, ICSI, embryo transfer, laparoscopy, ovulation induction and egg donation. I felt the staff could have been a little more helpful with the details without asking me to come and visit the clinic to know more about it. Dr. Priti Gupta is an infertility and IVF Specialist who is also the Clinical Director at Gynecological centre. She is the main doctor at First Step IVF Centre and it has state-of-the-art facilities for IVF, ICSI, Embryo Freezing and Blastocyst transfer. The staff I spoke did not reveal the success rate of the doctor and asked to visit the doctor to know more about the cost of IVF. Overall, it wasn’t a convincing talk. Dr. Archana Dhawan Bajaj heads the Nurture IVF Clinic as an Infertility Specialist. She is one of the most senior and experienced IVF specialist in Delhi NCR. When contacted the clinic to get more information, the staff was not able to provide much information but said that the success rate of Dr. Archana is one of the highest in Delhi. The clinic provides PGD PGS treatment, laparoscopy, Hysteroscopy and many other infertility treatments. Dr. Shakuntla Shukla is the main doctor at Aastha Medical Centre with 32 years of experience in Reproductive Medicine and Embryology. The staff at the beginning wasn’t very forthcoming about the details but later warmed up and spoke well about the facilities. 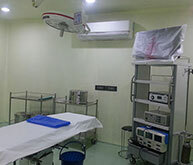 It is a specialized medical centre in women health care with the necessary facilities for IVF, ICSI and IUI. The cost for IVF varies between Rs. 1,45,000 to Rs. 1,70,000 depending on the treatment needed, apart from the cost for tests and medicines. It was a good experience. Nova IVI Fertility Clinic is one of the most prominent IVF clinics in India that has a lot of facilities for the treatment for infertility – ART, blastocyst transfer, optical spindle, assisted hatching, etc. Dr. Parul Katiyar is the main doctor in the clinic. There are a lot of branches of Nova IVI Clinic catering to the needs of people all over India. Each of the hospital has its own IVF specialists and doctors for gynecology and Obstetrics. One can get an appointment a day earlier and visit the IVF specialist present in the clinic. From what I could gather from the internet search, one of the most favorite and well-received doctor in the recent days is Dr. Richika. She is an IVF Consultant and Endoscopic Surgeon with an experience of 10 years in Obstetrics & Gynecology and has over 6 years of experience in Infertility and IVF. The team at the India IVF clinic also has an embryologist, IVF counselor and another IVF consultant. The staff answered to all my questions and the cost of IVF was said to around Rs. 1,50,000 to Rs. 1,75,000 without all the additional testing and medicine costs. Dr. Richika seems to kept in high regard by her patients and by her staff too. Overall, it was a pleasant experience. For the infertility treatment, Akansh IVF Centre has IVF, ICSI, Sperm banking, Blastocyst, Ovarian Stimulation, Donor Insemination and Embryo Freezing facilities. Dr. K. D. Nayar is the main doctor here who is one of the most experienced infertility specialists in Delhi. The staff at the hospital when asked about the treatments wasn’t aware of it. Their success rate is around 40% for embryo transfer and round 50 to 60% for blastocyst transfer. The conversation wasn’t fulfilling or informative. Dr. Anoop Gupta is the Director and Infertility Specialist at Delhi IVF Centre. He has more than 25 years of experience in male and female infertility treatment with a success percentage of 40 to 50%. The staff was formal and courteous. He was the first to deliver IVF baby through blastocyst culture. He is one of the popular and experienced infertility specialists in Delhi. The fertility centre has facilities for IVF, IUI, IVF-ICSI, sperm freezing, embryo freezing and transfer, laparoscopy, PGD, PGS, test tube baby, hysteroscopy, blastocyst culture, and cryopreservation. Dr. Manika Khanna, infertility specialist and laparoscopic surgeon founded the Gaudium IVF Centre. She has successfully treated a patient after 15 failed IVF cycles. Apart from Janakpuri, they also have a centre at Greater Kailash and also in Jammu, Srinagar, Ludhiana and Patna. The staff was pleasant but weren’t able to tell the success rate of the centre. All the centres have facilities for IVF, ICSI, IUI, Endometriosis treatments with PGD and PGS screening. It was an okay experience, but the staff could have been more informative. Have you visited any IVF clinics in Delhi? Do let us your opinions. Not Able to Get Pregnant, What To Do? Try Devaaya Wellness Resort, GoaDiabetes And Fertility: How Can Diabetes Affect Your Fertility?